The Cruise Center knows how to get you the best cruise vacation possible. We focus on finding the right destination and itinerary, the right ship and stateroom and the right price for you. 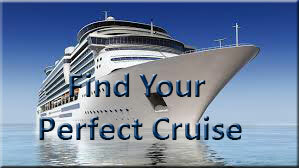 Ship selection is one of the most important decisions you will make in planning your special cruise vacation. We're experts and will guide you through the decision making process to find exactly the right ship and the right itinerary. Remember, not all ships are created equal. Cruise lines and ships all have a unique personality, style and service level. It needs to fit you budget to make a successful and enjoyable cruise. Click on the category above to learn more about which cruise lines serve that particular segment. 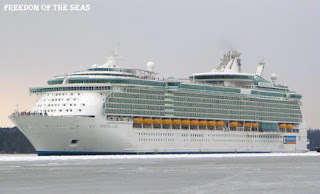 Keep in mind however, the lines between the categories have blurred significantly in recent years as new ships contain amenities and features that make them very appealing to all segment type cruisers. 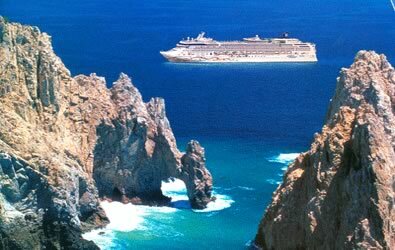 Destination is the other most important aspect of selecting your cruise vacation. Going to a place you didn't necessarily want to go because the cruise was cheap will not result in a good experience. 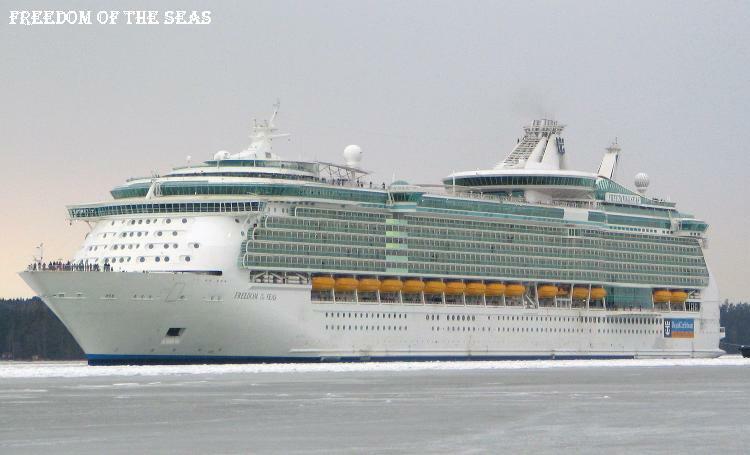 Check out the various cruise destinations by clicking here. The size of the ship as it relates to your personal likes and dislikes. Total relaxation, spa, golf etc. Structured time versus discretionary free time. Most importantly, budget. The more luxurious, the higher the cost. However, you should also consider your total dollar spend. Many times, the luxury lines include many things that are extra cost on lower category lines and at the end of the trip, your spend may be close to the same but the experience much different. Air and ground transportation costs. We can put the whole package together. These are glamorous new, state-of-the-art vessels with multi-story atriums, a variety of restaurants and entertainment venues, large & lavish production shows andthe latest in a/v equipment. Many ships have multi-screen video walls, computer generated sound & light, dedicated conference space and well-equipped health clubs and spas. Lots of staterooms have private balconies. These seagoing resorts offer 3 to 7-night cruises, mostly in the Bahamas, Bermuda, Caribbean, Mexico and Alaska. Traditional style ships, these are what we now call "mid-size" (but not long ago they were "mega") These are mostly new though some are older but beautifully maintained and with fine character. Depending on group size, these ships can offer a high degree of service, as well as customization and group exclusivity than the mega-liners. Most have abundant activities, entertainment, and traditional shipboard dining -- one or two restaurants with two seatings for breakfast and dinner. 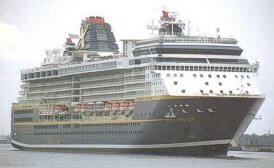 These ships offer a greater variety of destinations than the mega-liners, which are restricted by their size. 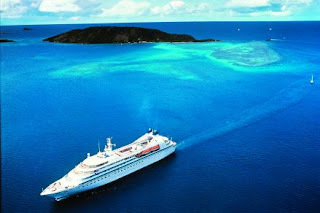 Brochures refer to them as "all-suite vessels", offering the ultimate in luxury accommodations, service and amenities. Most of these ships offer butler service and a very fine dining experience with food prepared "a la minute". Worldwide itineraries include Europe, South America, The Indian Ocean, Asia, only occasionally Mexico or the Caribbean, calling at the jet-set ports that attract yachts. Most of these vessels cater to the well-traveled passenger and provide a very high level of service for a much higher cost. These ships usually have very flexible itineraries that can be customized for your group from short 3, 4, 5, and 7-day cruises Plan two years ahead for a charter to get a shorter length. This grouping includes motor vessels as well as beautiful sailing ships. They are excellent for half-ship charters and full charters, depending on group size and timing of their more exotic itineraries. Many vessels in this category offer one seating in the dining room, the most leisurely way to dine. A river cruise can take you on the Danube in Bavaria/Austria, the Rhone in France, the Nile, China's Yangtze, and even the mighty Mississippi. A glamorous private yacht is readily available in the Mediterranean, and occasionally in the Caribbean. 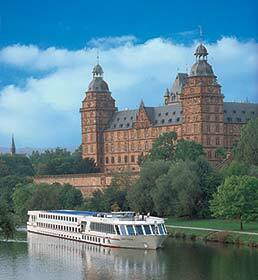 Many of these vessels are new and offer a very high quality travel experience. They're perfect for in-depth sightseeing and a relaxed cruising pace, with minimal entertainment onboard. Ideal for charter -- you set the itinerary to suit your needs. If your people have been everywhere, this might be just right. All Rights Reserved CEALS. Picture Window theme. Theme images by MichaelJay. Powered by Blogger.